Liberty Home Equity Solutions specializes in reverse mortgages, also known as home equity conversion mortgages (HECM). The company has served over 64,000 seniors since opening for business in 2004. Liberty Home Equity Solutions offers reverse mortgages in every state except Utah through direct-to-consumer lending and offers wholesale financing solutions to other lending institutions. Liberty Home Equity Solutions has funded over $7.5 billion in loans and specializes in reverse mortgages. Liberty's Iron Clad Guarantee matches any competitor's reverse mortgage deal or gives you a $100 VISA gift card, among other things. Read about our picks for the top reverse mortgage lenders by clicking the link below. Liberty Home Equity Solutions has funded more than $7.5 billion in loans with over 1,000 business partners nationally. Liberty is currently a wholly owned subsidiary of the financial services company Ocwen Financial Corporation and sets itself apart from other HECM (reverse mortgage) lenders with its Liberty Iron Clad Guarantee. Standard HECM: This reverse mortgage allows you to use the equity in your home to receive cash. HECM for Purchase: This reverse mortgage is useful if you need funds to purchase your next primary residence and can be an option if you are interested in downsizing your house. A HECM for Purchase covers about half the cost of the new home; borrowers must come up with the remaining funds from other sources. The Federal Housing Administration (FHA) approves lenders and tracks qualified loans, so lenders like Liberty Home Equity Solutions must work hand-in-hand with the agency and follow consumer protection guidelines. Fees and closing costs for a Liberty Home Equity Solutions direct-to-consumer reverse mortgage loan vary depending on your state. However, some fees are set by Housing and Urban Development (HUD) or FHA regulations. FHA mortgage insurance covers the reverse mortgage lender when the loan balance exceeds the home value if the property is sold to pay off the loan. Origination fees are paid to the lender. This fee can be paid at closing or rolled into the loan amount, and some may be due with your application. Appraisal fees will likely be required. A HUD-approved appraiser will complete a very detailed appraisal of your property. You may have to comply with repairs on the home before proceeding with the reverse mortgage. Reverse mortgage counseling is a HUD requirement. Before you apply for a reverse mortgage, you discuss your finances and the loan requirements with a financial counselor. Liberty will beat or match a competitor’s reverse mortgage, or they will give you a $100 VISA gift card. Liberty Home Equity Solutions will shave $500 off closing costs if you don’t close within 60 days of submitting your application. This discount does not apply to HECM for Purchase loans and can’t exceed total closing costs. You can complete the entire reverse mortgage loan application process from your home if you prefer, and you can change your mind and stop the loan any time before it is funded. You will work with a team of experts through an easy five-step loan process, and you’ll get weekly updates. Liberty Home Equity Solutions always protects your personal information. Call between 9 a.m. and 5 p.m. PST, and you will reach an agent who is trained to answer all of your questions. Liberty Home Equity Solutions currently holds an A+ rating with the Better Business Bureau and is an accredited member with only two complaints listed over the last three years. One complaint was from someone who did not understand that application fees are nonrefundable if a loan is not approved. Five reviews from others who did not have a reverse mortgage with Liberty Home Equity Solutions included vague comments or complaints about advertising. Overall, Liberty averages 7 out of 10 stars across consumer review sites, and 4 ½ stars out of 5 on ConsumerAffairs with 539 reviews. Will I give Liberty Home Equity Solutions possession of my home if I get a reverse mortgage? No, your name stays on the title of your property, and you continue to own it. Will my heirs have to pay Liberty Home Equity Solutions if my home value is less than the loan balance when I die? No, the FHA insures reverse mortgages, and in this situation, pays the lender the difference between your property’s value and the mortgage balance. When do I have to repay a reverse mortgage loan? You will not pay off a reverse mortgage. Your heirs or estate will do so once you no longer live in the home for 12 months or you pass away. At that time, the property can be sold to repay the loan, or the reverse mortgage can be paid with other funds if heirs have plans for using your house. A third option is to let the lender take possession of the home. How can I use the proceeds from a Liberty Home Equity Solutions reverse mortgage? According to the National Reverse Mortgage Lenders Association, you can use the funds received for just about anything. Examples are paying bills, renovating your home, helping children financially and even paying for rides from Uber or Lyft so you can remain active if you no longer drive. How much money can I get from a Liberty Home Equity Solutions reverse mortgage? If your loan application is approved, you will receive a percentage of the amount of your home equity after subtracting any debt you owe. The appraised value and final loan amount depend on other factors, including FHA limits and the age of the borrower. Could I lose my home with a Liberty Home Equity Solutions reverse mortgage? The counseling session will cover what you need to comply with to remain in good standing with your lender: pay property taxes and homeowner’s insurance, maintain the property, and keep up on repairs. You must also continue to live in the home. If you violate any of these conditions, it is possible that the lender will initiate foreclosure. 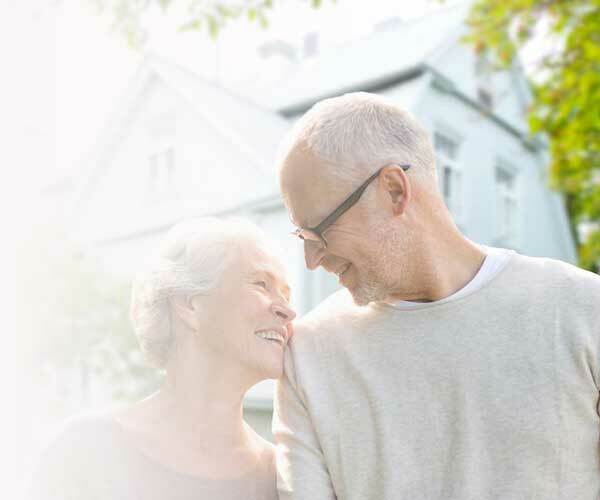 Liberty Home Equity Solutions has the locations and licensing to help most senior consumers with their reverse mortgage needs. As with all reverse mortgages, it is imperative that seniors fully understand the pros and cons associated with their specific situation and educate themselves about reverse mortgage scams to be sure it is the best financial solution.